My interests and practice are best described as hybrid. My academic training is as an art historian, but I also participate in curatorial projects, performance, and art making. These roles inform each other in my work – where formal research inspires experimentation, independent curatorial projects grow into collaborations, and critical writing challenges my own practice-based work. 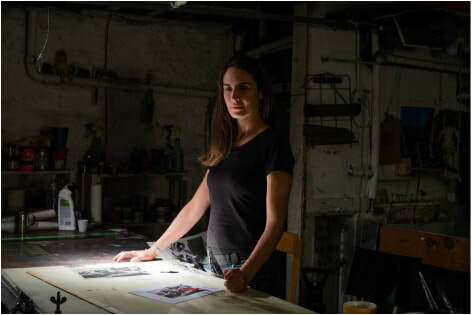 ​​Kara Jefts received her MA in Modern and Contemporary Art History, Theory, and Criticism from the School of the Art Institute of Chicago in 2015. She completed her BA at Union College, Schenectady, NY, in 2012 where she majored in Art History and Asian Studies. She studied Marketing, Advertising and PR at Emerson College, Boston, MA, from 2000-2003. Jefts has worked in a variety of curatorial, collections management, administrative, and preparator roles in galleries, libraries, and academic institutions including: Jane Addams Hull-House Museum, University of Illinois at Chicago; Sullivan Galleries, School of the Art Institute of Chicago, Chicago, IL; Joan Flasch Artists’ Book Collection, School of the Art Institute of Chicago, Chicago, IL; Fashion Resource Center, School of the Art Institute of Chicago, Chicago, IL; Student Union Galleries (SUGS), School of the Art Institute of Chicago, Chicago, IL; Albany Public Library, Albany, NY; Neil Hellman Library, The College of Saint Rose, Albany, NY; Mandeville Gallery, Union College, Schenectady, NY; Schaffer Library, Union College, Schenectady, NY.